PARIS — A television council in France has rejected an advertisement that features smiling Down syndrome children out of concerns that the video might “disturb” mothers who have aborted a baby because of his or her diagnosis. 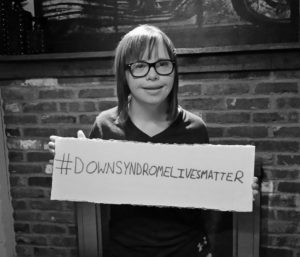 The video “Dear Future Mom” has been in circulation for two years, created by the group CoorDown and released on World Down Syndrome Day in 2014. Its purpose was to encourage mothers whose unborn babies are diagnosed with Down syndrome after the group received an email from a pregnant woman who expressed that she was fearful of what the future held for her child. The video advises that the journey will indeed be difficult at times, but as the children smile and hug their mothers for the camera, they proclaim that both mother and child will lead happy lives. However, this month, France’s Conseil d’État upheld a previous ban issued by the Conseil Supérieur de l’Audiovisuel, preventing the advertisement from being broadcast on French television. “[The Council Supérieur’s] intention was not to hinder the distribution of this film, which he noted the positive contribution to the fight against the stigmatization of people with disabilities, but only to point out that his insertion within advertising screens was ‘inappropriate,'” the council said. But the news of the rejection has been disappointing to pro-life advocates. Kurt Kondrich of Human Coalition Pittsburgh, whose 13-year-old daughter Chloe has Down syndrome, told Christian News Network that children with the chromosomal condition are some of the most loving and joyful on earth. As previously reported, Kondrich’s daughter Chloe was the inspiration behind a Pennsylvania bill, signed into law in 2014, that aims to help save the lives of Down syndrome babies who would otherwise be aborted. It is estimated that 80 percent of women in France whose children are diagnosed with Down syndrome obtain an abortion.